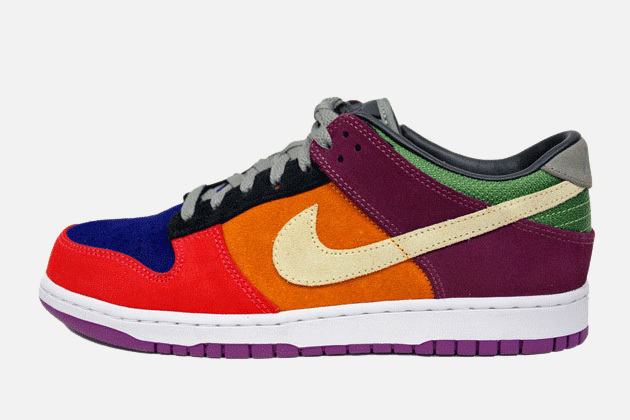 One of Nike’s most popular Dunk Low’s, the Viotech was originally released in 2002. 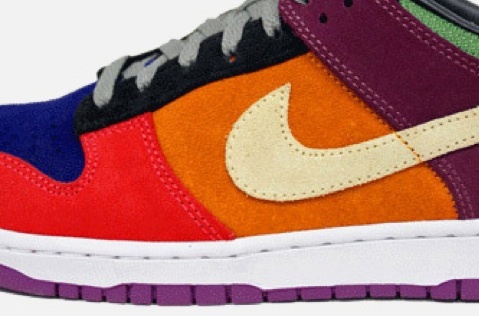 The playful color-blocking of these sick Dunks made it an icon, and it’s refreshing to see these get the “retro” treatment. With bold swaths of green, fuchsia, orange, blue, red and purple, these are truly a stunning pair of sneakers. Set to hit the Asian market soon, there is still no news on when we’ll get these lovelies stateside, but you already know we’ll keep you abreast of the situation via our Facebook, Twitter and Instagram. More photos after the jump.